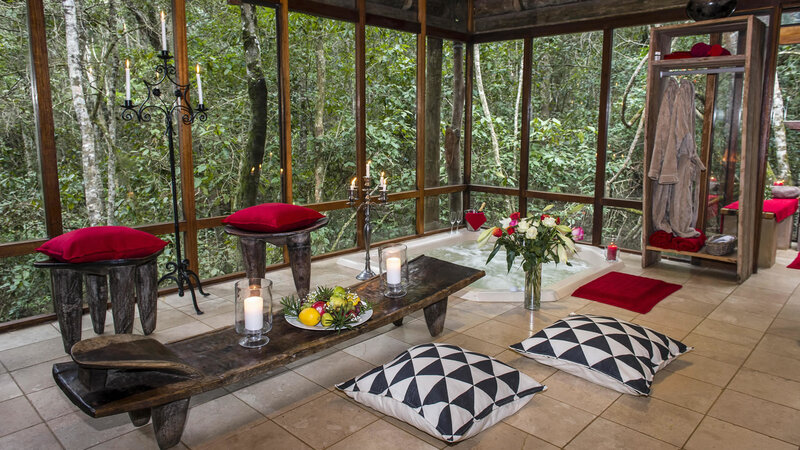 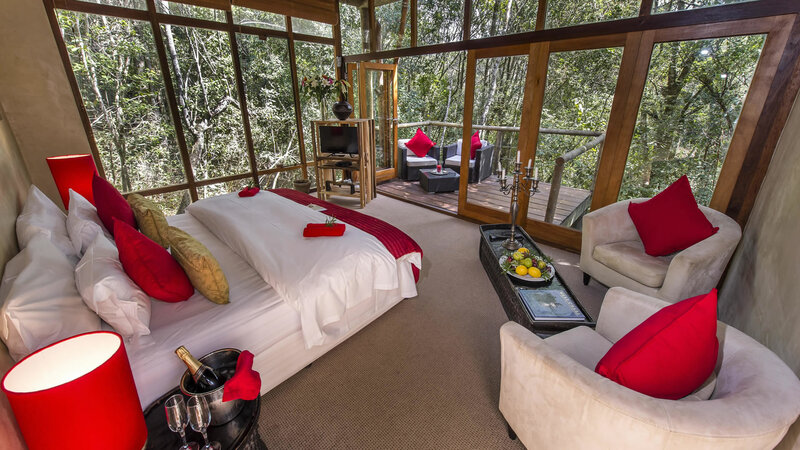 Trogon House & Forest Spa offers an exquisite location and experience, suspended in the treetops of a private forest reserve that stretches untamed along the Tsitsikamma Mountains and beyond. 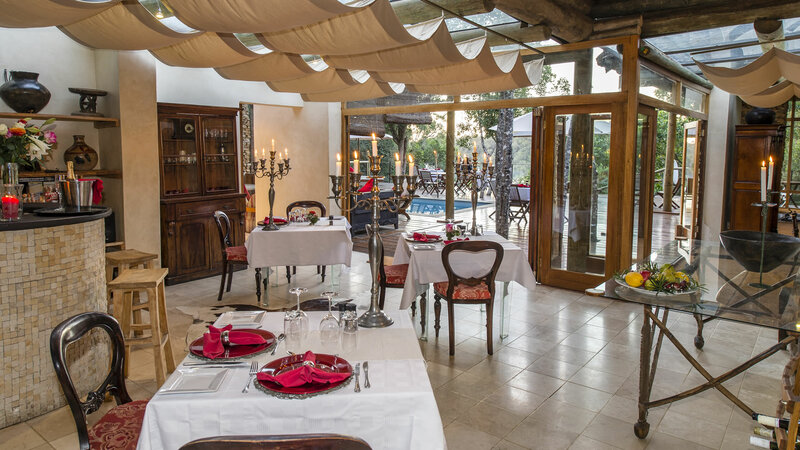 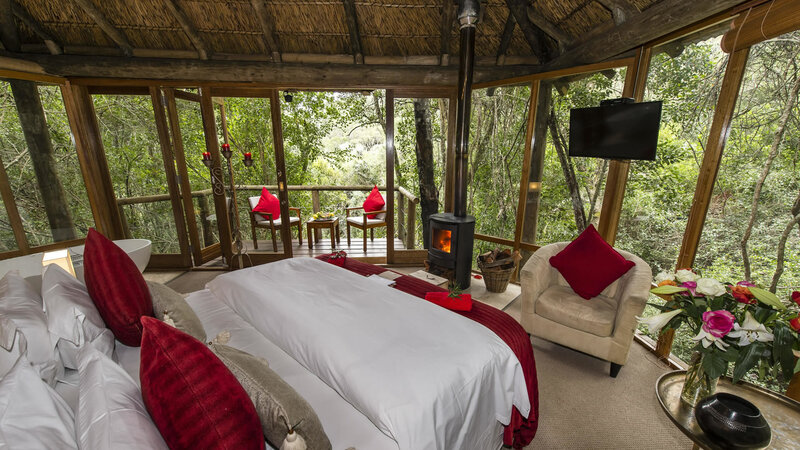 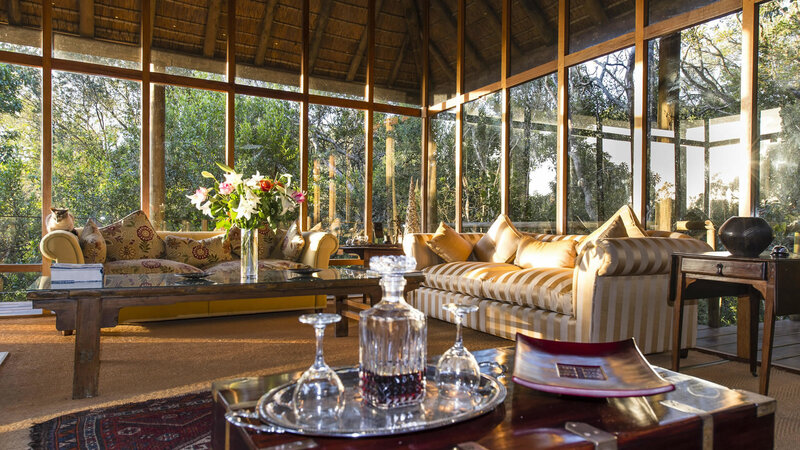 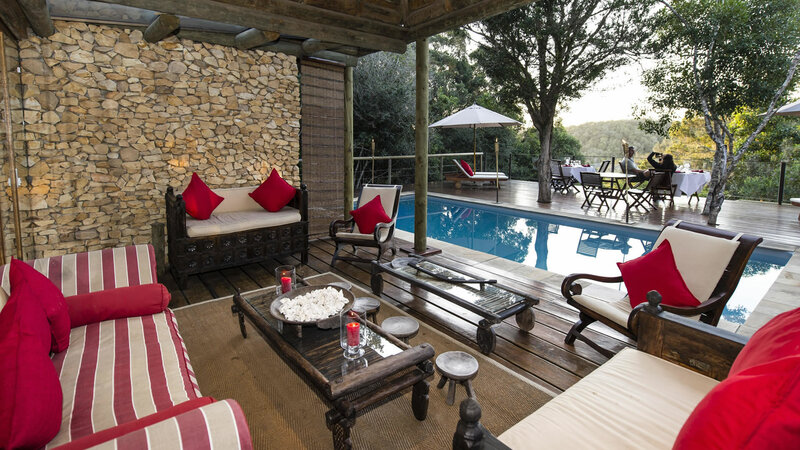 This beautiful Guest Lodge lies within the indigenous forest on the most scenic and unspoilt stretch of the Garden Route, flanking world-renowned tourist attractions such as Monkeyland, Birds of Eden and The Elephant Sanctuary. 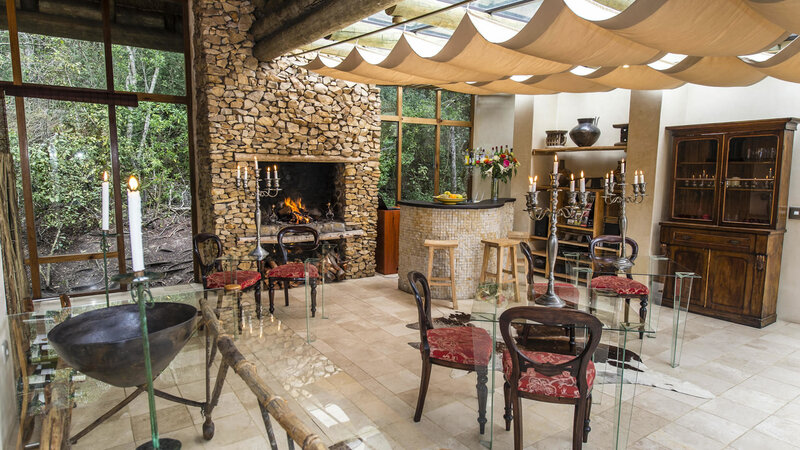 The picturesque seaside town of Plettenberg Bay, with its stunning never-ending blue flag beaches, ocean based activities and gastronomic delights is only a 15-minute drive away. 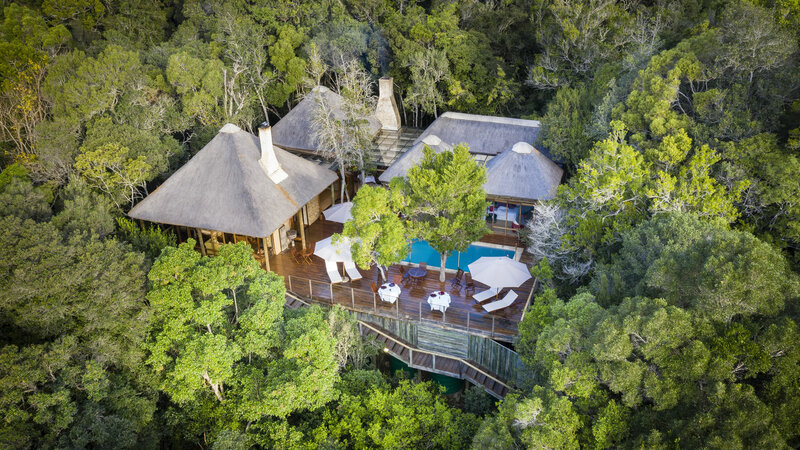 Elevated in the treetops and using only natural materials, this unique establishment embraces the forest by means of glass walls and sky-lit roofs, inviting the forest inside and creating a special forest ambiance.